With Brexit in full swing, this summer may well be the last time we can all visit continental Europe without a Visa. With that in mind, millions of UK holidaymakers will be crossing the channel for one last easy access European holiday. A recent report by the BBC details that over £1bn is spent in card fees while abroad by UK travellers every year. With that in mind, it's time to find out what transaction fees really entail, and more importantly, which banks and cards have the lowest transaction fees abroad. When you use your debit or credit card abroad, the transaction occurs in euros, rather than your bank’s usual pounds sterling. This means that a conversion takes place based on that day’s exchange rate. As that rate changes daily, it is possible that something which costs £100 one day, may be £102 the next, or £98 the day after that, despite being listed at the same euro value. Exchange rates also vary by bank or converting institution, so the rate you may get from your debit card could be different to your credit card, or cash. In a genuine attempt to try to help you, some shops may ask you if you wish to pay in pounds rather than euros. While this does seem like it will help you by avoiding the exchange rate with your bank, it can be even more damaging as the shop will apply their own conversion rate when calculating the bill, and it’s unlikely to be better than the bank rate! Most standard bank debit and credit cards also apply a standard foreign transaction fee – typically this is around 3%. 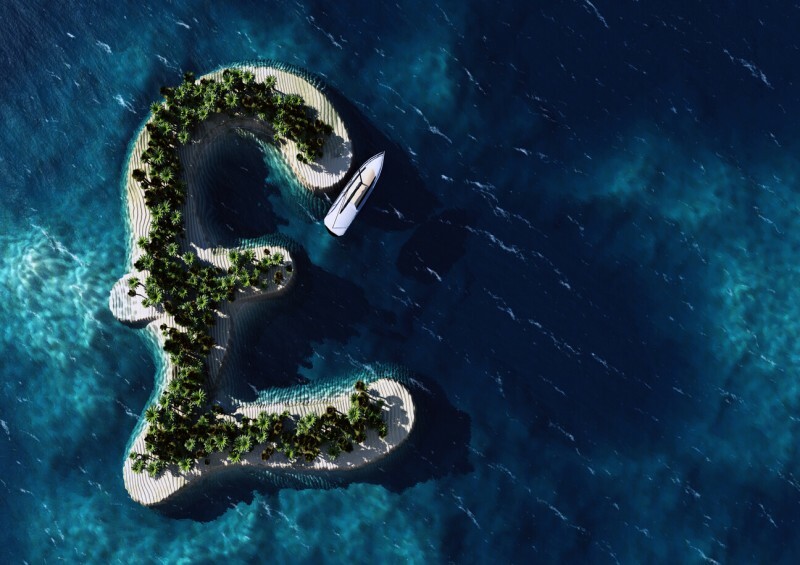 This fee applies to everything you buy while abroad on your card and though 3% can seem low, when the average spend over a week on holiday comes to around £500 or more, that’s a hefty £15 per week. Just like some machines found in smaller shops in the UK, many ATMs in Europe will charge a fee for their use. If you are going to take cash out from one of these, then make sure you withdraw as much as you will need, as repeated transactions will incur multiple fees. You may also be charged by your bank for using a foreign ATM – check your debit card usage terms and fees before relying on it for multiple ATM withdrawals. Though these are becoming rarer, there are some cards which will charge an additional set fee per transaction or increase interest rates for money used abroad. Debit cards especially can be terrible for this. Always check the terms of your credit or debit card before relying on it abroad. In the run up to your holiday, it is worth taking note of the exchange rate. If it is rising, it may be worth taking out a reasonable amount of cash in Euros (or whatever the local currency is) before leaving the UK. There are many reasons not to carry large sums of cash with you when you travel, so do not plan around using cash for the majority of your trip but having some is essential and choosing when you convert your money can save you a significant amount. Don’t exchange money in airports or at the last minute if you can avoid it – there’s little chance you will be receiving the best rate in these instances. Just as there’s the right credit card for balance transfers, the right card for shopping and one perfect for helping you build a good credit rating, so too is there one that’s good for holidaying. A specialist travel credit card is one which has no fees for spending money abroad. They work without the standard foreign transaction fee – potentially saving you hundreds of pounds a year. Be aware – the interest rate on travel credit cards can be considerably higher than your regular card. Make sure that you always pay your travel credit card off in full when you return from your holiday. If you don’t, then the savings you made avoiding the standard foreign transaction fee will be lost in the interest on the card. Our advisors are on hand to help you find the right credit card for you – give us a call today! Don’t be tempted to pay in sterling while abroad. While this may seem convenient, and that spare tenner in your pocket might as well be used, you will be getting a very poor exchange rate. Work in the currency native to the location you are in, and your money will have the same value as those who live there. Always check the terms of your current credit and debit cards before going away. Sometimes it is more prudent to leave a card at home to avoid the temptation to use it than it is to pack it! Putting your usual bank cards to one side and having specialist cards to use abroad will save you in the long run, and once you have them, they’ll be there waiting for the next holiday. If you need cash, plan a little ahead and take out enough to last. Exchange rates and ATM fees, both from your bank plus the machine’s supplier can really damage a bank balance and upset an otherwise enjoyable time away. Be reasonable with the amount of cash you carry with you, but don’t keep hopping back and forth to an ATM, as doing so could be the most expensive part of your trip. By far the best way to avoid any exchange rate issues, or foreign transaction fees, is to have a bank account with a local bank for when you are abroad. While the complexities of setting up an additional bank account is beyond consideration for anyone just having a short holiday, if you are a frequent traveller to another country it can make a lot of sense. A native bank account treats you just the same as it would anyone else in that country – with standard local rates, zero exchange rate headaches and absolutely no foreign transaction fees. If you would like more advice on obtaining a bank account in a different country, fill out our contact form and let us know a good time for one of our specialists to speak to you. With a little planning and forethought, you can do what you are meant to do on your holiday – leave the daily worries behind and have a good time. Don’t let the fear of charges spoil your time abroad – get it all sorted before you go. Give us a call at Compare UK Quotes and we’ll help you find the best card to use abroad, leaving you free to relax.